No matter how many years pass and how many experts tell us to fix our insane urban expressways, there are still politicians who think they're a great idea and want to protect them. Against a new staff report recommending a five year plan to convert more one-way streets to two-way, Ancaster Councillor Lloyd Ferguson wants to keep Main, King and Cannon as one-way arterials. ...Ferguson, a rumoured mayoral candidate, said he hopes the study supports keeping existing one-way sections of Main, King and Cannon. "Major arteries belong to the city, not to a particular neighbourhood," he said. "A lot of cities are spending a lot of money trying to fix congestion and gridlock. We seem to be spending money doing things that will create congestion." 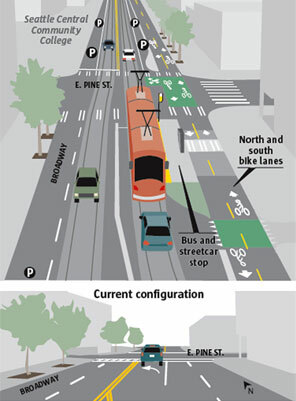 Meanwhile, on Broadway in downtown Seattle, they're busy transforming a wide arterial into a complete street with a new streetcar and a two-way physically separated cycle track. This is a "major artery" that carries 23,500 cars a day, and presumably it belongs to the entire city of Seattle, not just to the local neighbourhood. For a traffic volume comparison, Main Street in Hamilton carries 28,000 cars a day at Bay and 21,000 cars a day at Wellington. King Street carries 24,900 cars a day at Bay and 14,400 cars a day at Catharine. Cannon Street carries just 16,700 cars a day at Mary. 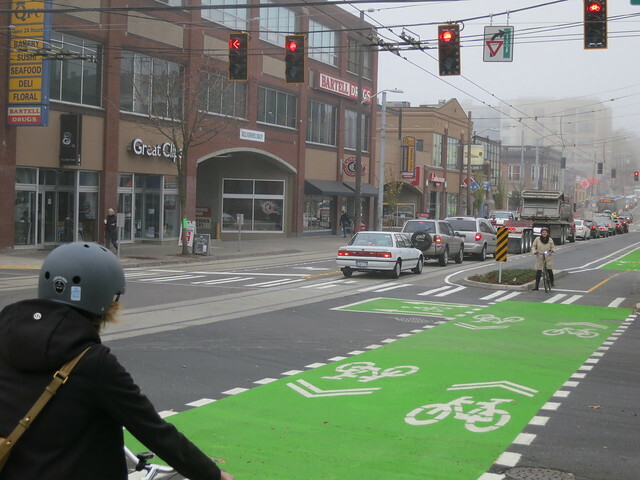 Also, don't forget that Broadway in Seattle is a) in Seattle, a mid-sized city with 635,000 people; b) in a dense downtown neighbourhood; and c) on a major artery. Also, they ran new streetcar tracks down the middle of the street, which means streetcars are regularly stopping in the live traffic lane to pick up and drop off passengers. Hamilton has ample lane capacity to convert every downtown street into a complete street and still allow for a safe flow of automobile traffic. 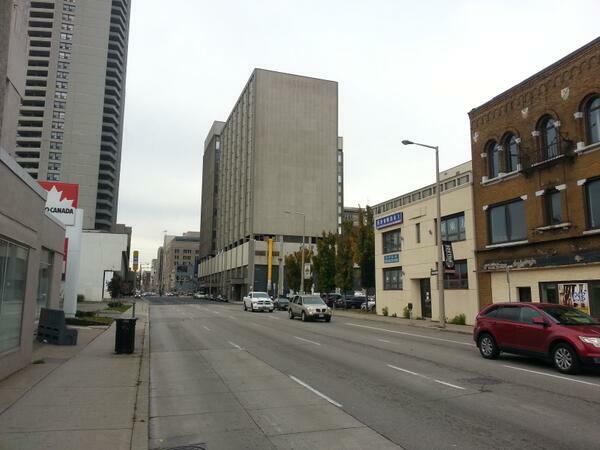 Downtown streets are not meant to be fast freeways for commuters. The sooner we fix them, the sooner our urban core will burst back to life. A highway runs parallel a couple blocks west of Broadway. People don't need to/shouldn't take Broadway to get across town. If you've ever driven it, you'll know that freeway resembles the DVP at rush hour almost all day. The fact is, over 23,000 cars use Broadway. Hamilton has ample freeway access via 403,Linc and QEW. Main and King as two-way pairs would give commuters a much easier trip in and out of Westdale. No looping around or all being forced onto one street. Options are a wonderful thing in life. Amazing how Hamilton's outdated mindset still prefers less options and poor use of our road capacity, as though somehow we are winning by making such dumb choices. Between batches of clustered cars, Main Street is literally empty in the middle of the day while just one block north, drivers are fuming because they have to slow down on King going through the core. 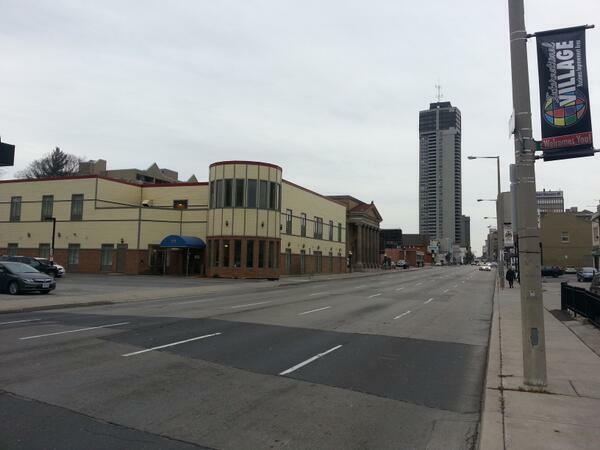 Main is grossly overbuilt as a five-lane thoroughfare, and the city is suffering as a result. That suffering is most intense for people living on or near our one-way expressways, but the lost economic growth and development potential hurts everyone. And yet this design isn't used in downtown Ancaster, Dundas or the Mountain. If it's sooooo amazing, why not?? If it's truly our competitive advantage over TO, why are we stopping here? We finally found an advantage over Toronto? Let's milk it city-wide and steal all their business and growth. Why don't towns that are a fraction of the size do that? Dunno, you tell me. While the paired one-ways were eventually extended far beyond downtown in the lower city, they never quite made it up the mountain or out to the suburban communities. Yet it is the mountain and suburan councillors who are most opposed to converting lower city streets back to two-way today. Really, you need to talk to those who designed and implemented this to get the proper mindset. Looking at old plans is great, but may lack the context behind it. Perhaps there's something that was understood, but not documented - we did a lot of that then, and the same now. A photo of a proposed plan, wihtout the context, is meaningless. This is a quaint vision of a Jetsons future that never materialized - a world populated by cars and machines with humans as little more than passengers. This map sadly failed to recognize that people live and breathe in this city. I looked at that map and thought these planners were freking nucking futs!!! 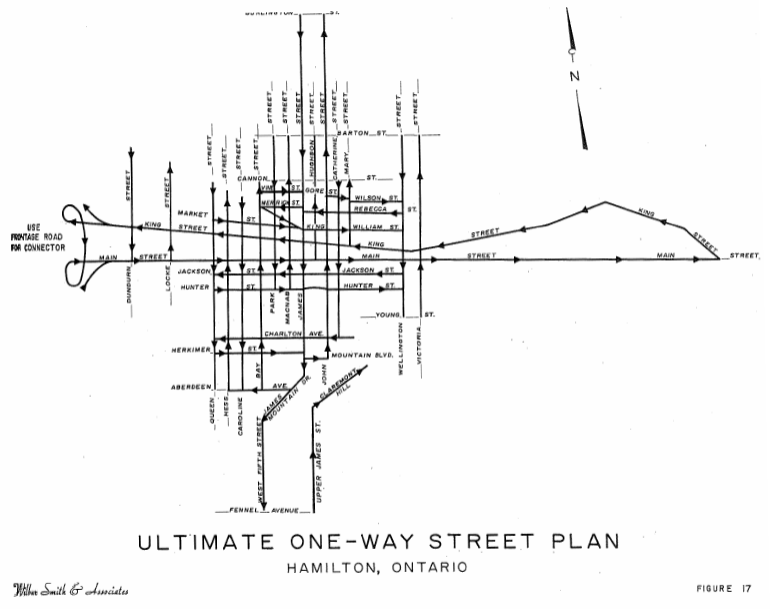 They seemed to literally want to destroy Hamilton with all of these one ways, cutting through neighbourhoods like a sharp knife; indeed, Hamilton has been bleeding from these cuts far too long, but still standing by some miracle. What a critical time for the city - we have a huge number of changes on the table - the decisions we make now are going to shape our future here for many years. I hope I'm proven wrong, but it's exactly critical moments like this that I predicted would go off the rails thanks to amalgamation. We have a balance of decision making power lying with folks who don't care about old Hamilton in the slightest. I doubt we'll see these 20 streets change much in the next decade. No, I predicted it when you consulted with me. Next up: When you will stop crying and get involved and DO something. Oh wait, you probably won't ask that one. I bet Jason's a lot more involved than you are, random anonymous troll. He's on his community council, goes to meetings, writes letters, makes presentations to council...what do YOU do? I actually do most of those things, but to effect REAL change, you need to be a part of the club, not a fanclub (like community councils. I can spend a big article talking about the navel-gazing and great ideas they come up with but are so toothless they end up being more about cleaning up garbage from parks that the City should be doing already). Thanks for coming to his defence though. Durban, South Africa as well.